Everyone always love Joshua Tree. Okay, maybe we didn't totally lovvvve it our first time there, but this time we made sure to do it the right way. And by right way we mean we just chilled out and a did whole lot of nothing, except for enjoying the company of friends and nature. After a busy weekend in Palm Springs, we drove out to the desert and worked remotely for the week from the cutest Joshua Tree Airbnb with our friend Elizabeth. It was quiet, it was beautiful, and it was just what we all needed. Where to Stay in Joshua Tree: Casa Joshua Tree! 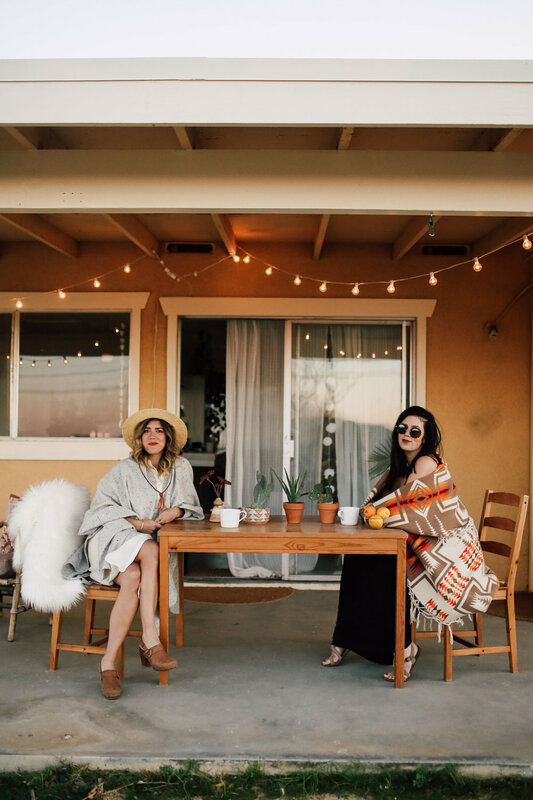 We found Casa Joshua Tree on Instagram (they have the best feed!) and instantly knew we had to stay here when we came to visit. It's definitely one of the best Joshua Tree Airbnb's! It's a spacious 2 bedroom house that is covered in natural light during the day and just has the best Joshua Tree vibes. It was so relaxing and peaceful, and we spent our days cooking, working, and just being with each other. The bedrooms were so gorgeous, and we couldn't get over all the beautiful details everywhere. I mean come on - this bathroom!? 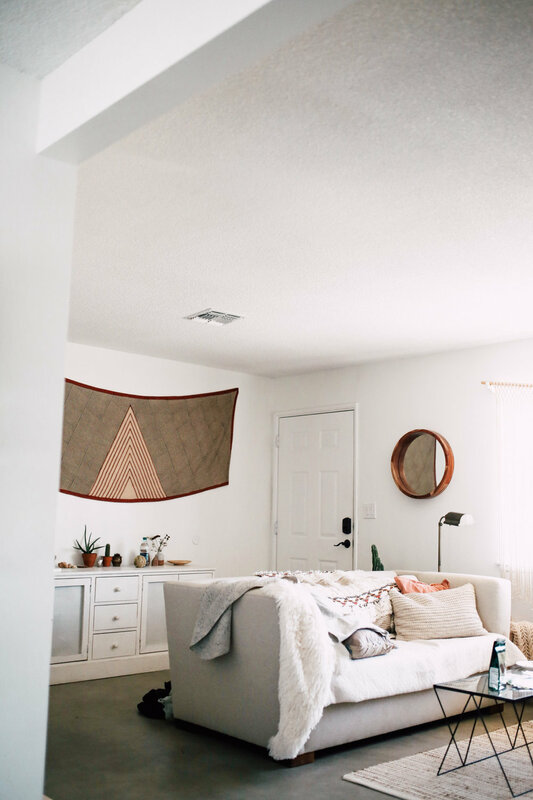 You can save Casa Joshua Tree to your Airbnb list here, or if you're new to Airbnb, you can get $40 in FREE travel credit using our link! Just sign up now with the link and your credit will be waiting for you whenever you want to book your trip to Joshua Tree - or anywhere! Casa Joshua Tree has the cutest little backyard, and we loved having our coffee out here in the morning and just relaxing with the sunset. It's so cute to have little "joshua trees" right in your backyard! And of course, no trip to Joshua Tree is complete without exploring a bit of nature. One day we didn't even go into the "actual" park and just drove around the neighborhood until we found this rad road in the middle of nowhere. Obviously we had to stop and take some photos while it was sunset! We will definitely be back to Casa Joshua Tree soon, it's is now officially our desert home away from home. Looking for more California road trips? Check out our California page or explore more things to do in Joshua Tree!